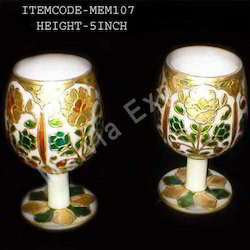 The range of Marble drinking wine Goblets is highly appreciated for mesmerizing designs and exclusive patterns. 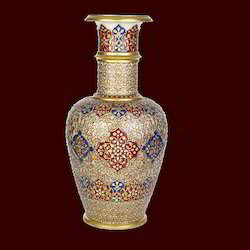 The superlative Marble Goblet is craved for excellence and is highly popular among the clients for its unique pottery style, intricate detailed work and fine finish. The array of Marble drinking wine Goblet is offered in a wide assortment of sizes, shapes depending on varied requirements of the clients. 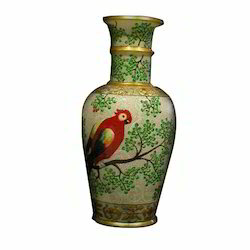 Our company has established itself as a leading manufacturer, supplier and wholesaler of superior quality Marble Vases in the market at present. The offered range is designed utilizing beautiful marble material and paints that do not fade their colors easily even after rigorous washing several times, to maintain its conformation with latest industry trends. Immensely used in a number of different areas, our clients can avail this splendid gamut from us in varied sizes, widths and lengths as per their likings. 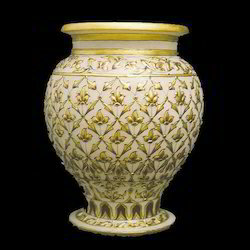 Best creativity of art in Marble single stone with 23kt Gold art work. 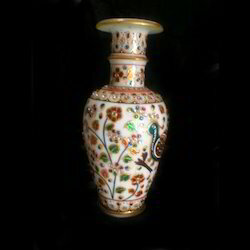 We are leading g manufacturer and supplier of Designer Marble Goblets. 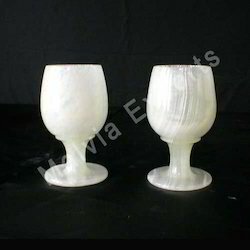 We are leadin g manufacturer and supplier of Drinking Party Goblets. 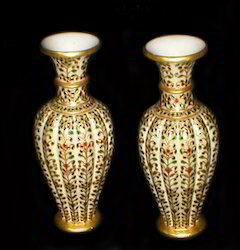 We are best manufacturer, exporter of Gold Work Marble Vases from Jaipur. 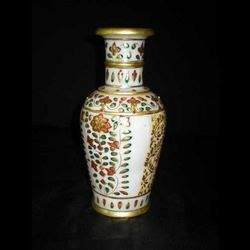 We offer the choicest range of Golden Marble Vase, designed and worked carefully by the eminent artisans of Jaipur. Our Marble products and designs are admired for its finish and elegance. 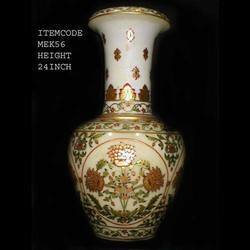 Our Marble ware products are exported worldwide and known for its rich cultural designs that are traditional and class apart. 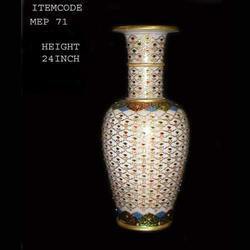 As a manufacturer, supplier and wholesaler GoldenMarble Vase, we have marked our name very strongly in the market for exports. 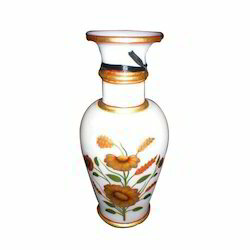 We are one of the prominent manufacturer and supplier of Marble Flower Vase. 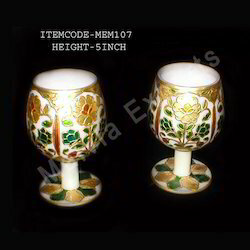 Marble Goblets offered is made available by us under item code MEM 106 and comprises beautifully designed Drinking Juice Sets. 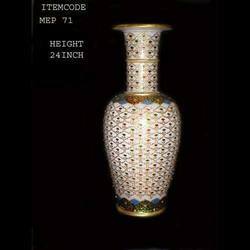 Featuring party set of 6 pieces, these are made available in 3"inch of height and are highly recognized in the market for their mesmerizing finish designs as well as exclusive patterns. 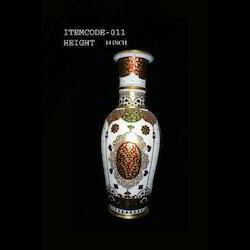 Craved in mesmerizing finishes, these are liked for their excellence and are popular among clients for unique pottery style. 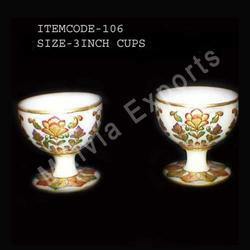 We are leading manufacturer and supplier of Marble Goblets. 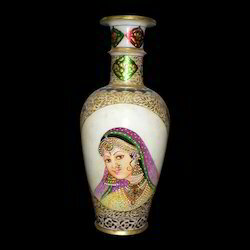 Marble Vases offered are made available by us under item code Me040 and comprises beautifully done up marble jars/vases that feature intricate artwork in design that comes embossed with mixture of plaster as well as adhesive and is painted with oil colors. 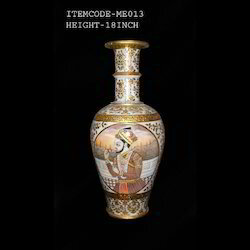 Available in sizes of 15", the exquisite collection offered is designed under supervision of skilled designers that make these depict flawless finish standards and perfect as interior décor item. 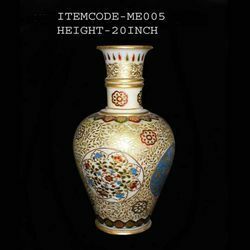 As a manufacturer, supplier and wholesaler of Marble Vases, we have marked our company name very strongly in the world market of exports. 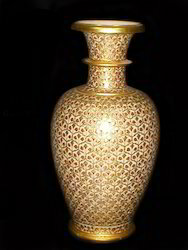 Best creativity of art in Marble single stone with 23 kt Gold art work. 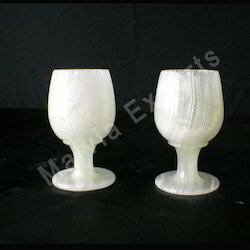 We are leading manufacturer and supplier of Modern Marble Goblets. 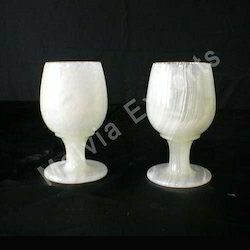 White Marble Goblets offered are made available by us under item code MEP-169 comprising 6 pieces of Drinking party Onex goblets in 5 inch finish. 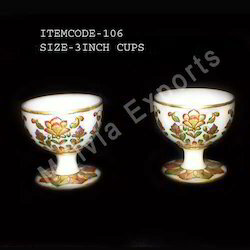 Well recognized for mesmerizing designs as well as exclusive patterns, these flawlessly designed goblets are recognized for their excellent carving work and are highly popular among the customers. 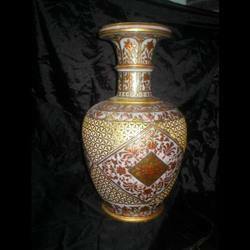 Coming in unique pottery styles, its intricate as well as detailed work as well as fine finish make these highly demanded in the market. 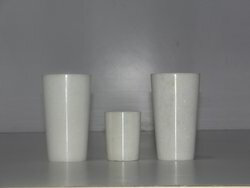 Tumblers made of white marble natural stone.